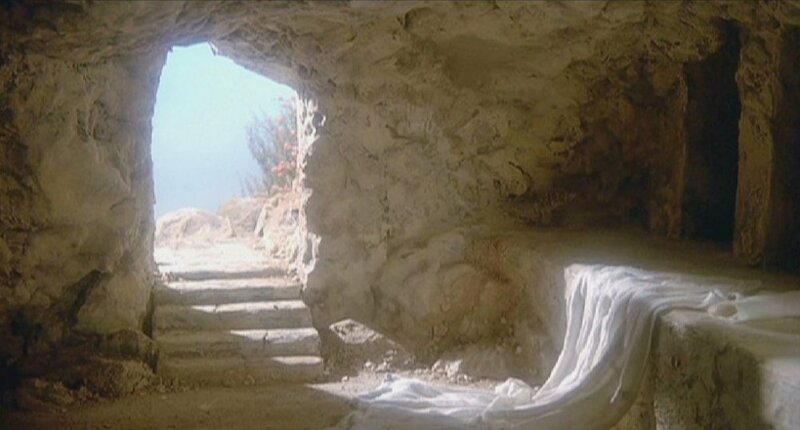 The resurrection is a big topic, and I’ve hardly exhausted it. Hopefully, I’ve shown that it matters both theologically and practically. It affects how we think of the church and how we live as Christians. I can’t count the number of times I’ve been in Bible class when someone argued against this or that good work on the theory that “It’s all going to burn!” In fact, I’ve been taught since I was a child that God destroyed the world once by flood and will destroy it a second time by fire. (Rom 1:18 ESV) 18 For the wrath of God is revealed from heaven against all ungodliness and unrighteousness of men, who by their unrighteousness suppress the truth. God’s wrath will destroy God’s enemies, defined here as “all ungodliness and unrighteousness of men.” Not the creation itself, but the wrong use of the creation by mankind. (Col 3:4-7 NAS) 4 When Christ, who is our life, is revealed, then you also will be revealed with Him in glory. 5 Therefore consider the members of your earthly body as dead to immorality, impurity, passion, evil desire, and greed, which amounts to idolatry. 6 For it is on account of these things that the wrath of God will come, 7 and in them you also once walked, when you were living in them. Again, God’s wrath will come against “immorality, impurity, passion, evil desire, and greed,” not Yosemite or Yellowstone or the Great Barrier Reef. (Eph 5:6 NAS) 6 Let no one deceive you with empty words, for because of these things the wrath of God comes upon the sons of disobedience. Again, God’s wrath will be imposed on people and their evil deeds. Not the creation itself. The creation was declared by God to be “very good” (Gen 1:31), and so it was until corrupted by human sin two chapters later. Just as the creation has been corrupted, so have our bodies. They are part of the created order. And so they suffer from entropy and break and fall apart. They weren’t built to last for eternity. God will fix that at the right time — and then we’ll shine like stars in the universe. Until then, we have to think of ourselves as caretakers of the creation, charged by God with making this creation productive but also preserved. We have to learn to balance these two things. The creation was made for man as much as man was made for creation. Neither will survive the other. Both will be changed. Therefore, things created are not evil or destined for destruction. Not necessarily. And so we can’t draw Gnostic distinctions between the physical and spiritual. God cares as much about our bodies as our souls. In fact, he doesn’t see much difference between the two. He sees us as unitary wholes — body, soul, and spirit. Therefore, he’s as worried about our physical health as our emotional health and our spiritual health. They all tie together. We cannot prefer the rational to the emotional, because God made us both rational and emotional. God himself is both rational and emotional. When we deny our emotional side, we deny part of what makes us in God’s image. When we deny our creative gifts and our artistic talents, we’re denying part of our God-likeness. When we insist on plain, uninspiring, soul-crushing architecture, we prove that we don’t really know God the Creator. We haven’t really experienced the beauty of Jesus. We aren’t in touch with Spirit within us. Now, obviously, anything can be taken to a sinful extreme, and it’s possible, I’m sure, to be overly focused on the arts and beauty at the expense of the rational and practical. But we in the Churches of Christ are so far from that extreme that it’s not worth another sentence to address the question. Some of us can’t stand the thought of the extravagance Mary lavished on Jesus, but Jesus accepted it, despite the high cost. It’s not always about getting the best deal. (And in the Churches of Christ, there is indeed a marked tendency to find “sin” in those things that cost money: support for missionaries out of the church treasury, fellowship halls, located preachers … ). But … and this is important … the reason God’s wrath will be poured on people much more so than the creation is because it’s people who sin and people who are damned unless they follow Jesus. Therefore, by far, the most important Kingdom work is about people’s eternal fate. Evangelism remains the core of Kingdom work because the Kingdom is ultimately made up of people. I can do environmental work, create great beauty as an artist or musician, or otherwise work to make this world in some sense a better place, and yet it won’t be Kingdom work unless it’s done in the name of Jesus. If Jesus doesn’t receive the glory, then not only are we not drawing the lost toward Jesus, we’re concealing the beauty of Jesus from those who desperately need him. If I dig a well, paint a house, or buy a goat for a poor family, I’ve done a good work. Truly. But if they don’t know to thank Jesus for that good work, I’ve just made their life awaiting damnation a little more pleasant. I’ve not extended the borders of the Kingdom, and I’ve not given glory to God. Rather, I’ve hidden Jesus’ light under a basket. The world matters because God made it and it’s going to last a lot longer than many of us think. The environment matters for that reason and because God has charged his people with caring for it. Beauty and creativity matter. But all must be kept within a Christian worldview — that is, we can never lose sight of the necessity of seeking and saving the lost. But we aren’t rescuing them from a world destined to be destroyed. We’re rescuing them to enjoy eternity in a world that preserves and honors the beauty of God shining through his creation. And in the new heavens and new earth, we’re going to sing — with melodies, harmonies, and chords — forever.